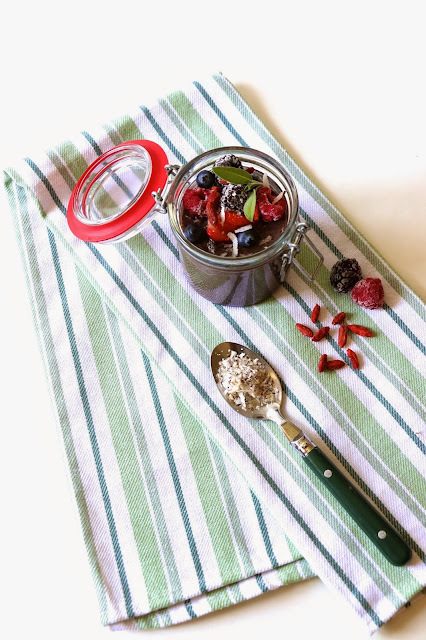 If you've never tried chia pudding, you've been missing out. The benefits of chia seeds are endless. They have been known to fight belly fat, add fibre, protein & omega-3's to your diet. Chia seeds are tasteless so can be added to anything. Pudding used to be my favourite dessert so I've found a substitution with a healthier dairy option, fresh berries instead of refined sugars & a great breakfast or dessert to keep me full. You can try many different versions & variations of chia pudding, from vanilla with cinnamon to chocolate-peanut butter topped with banana. 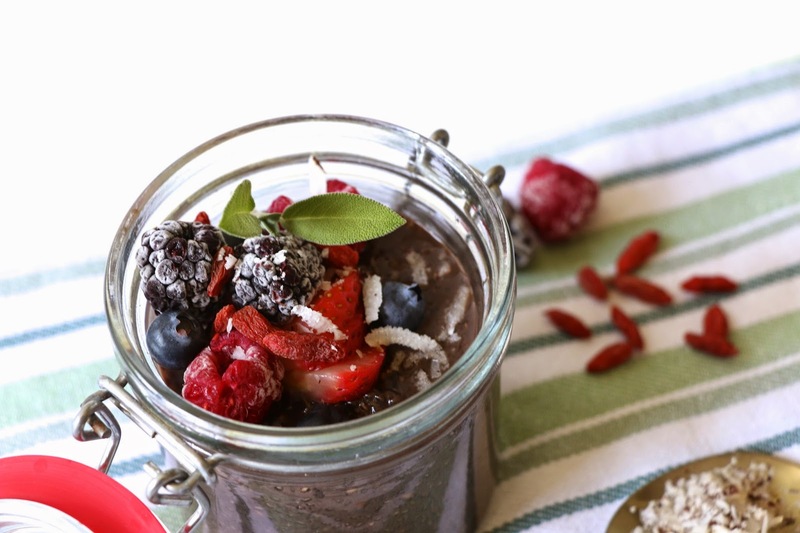 In a bowl, add milk, chia seeds, flax seeds & protein powder. Whisk together. 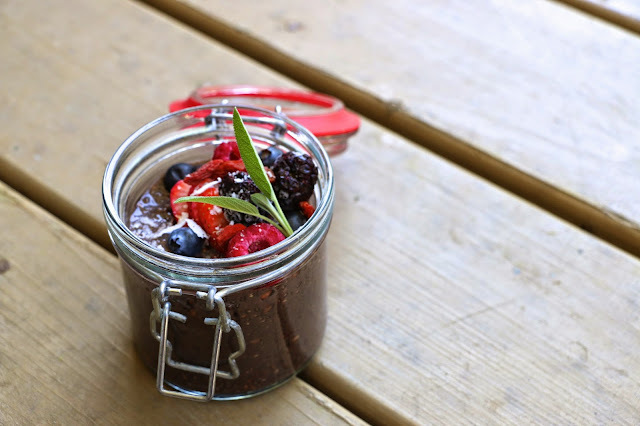 Pour into a jar & refrigerate overnight. Check after 3-4 hours. If it has not thickened to a pudding texture, add another tbsp chia seeds. 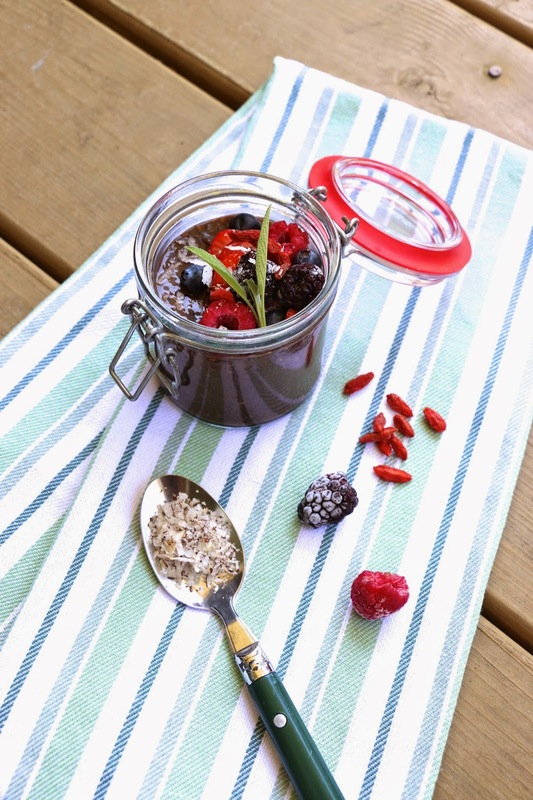 Top with berries, coconut or any toppings of your choice & eat right out of the jar. Tip: I freeze blackberries & raspberries because they don't last in the fridge.